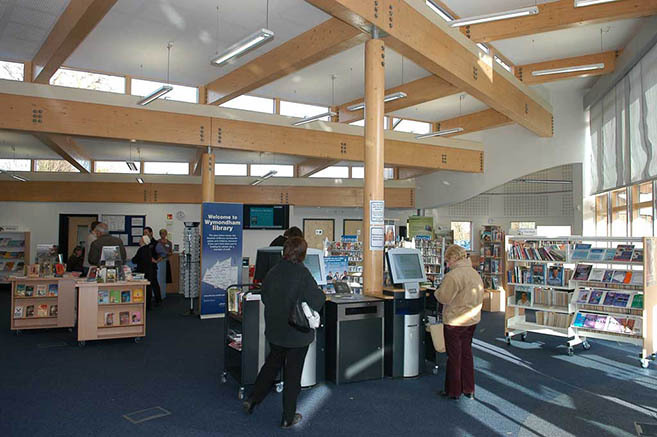 Wymondham library is a unique and distinctive contemporary building. It is conveniently situated next to a car park and on a busy thoroughfare into town and within easy access to public transport. An inviting and modern public open space has been created in front of the building with seating and a natural and welcoming route from the car park to the town centre. 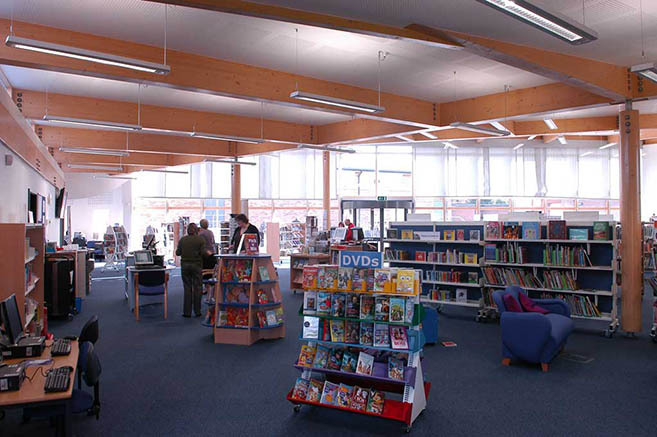 Inside the building is spacious and light, a circulation area with self service facility leads to book-shop style displays, with study areas, children's library and teens area. A rotunda houses a calming area with coffee, council and local information, internet access and casual reading area. 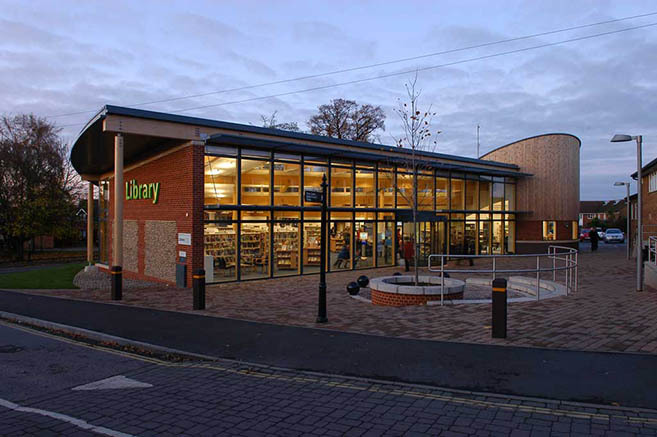 There are accessible toilets and baby change facility for library users.